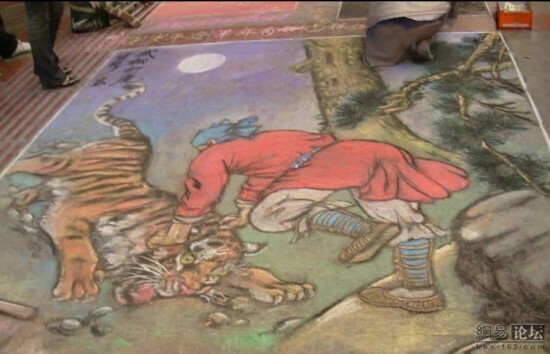 Cong Langui is a talented Chinese chalk artist who travels across the country creating amazing artworks that make people stop in their tracks and stare in amazement. 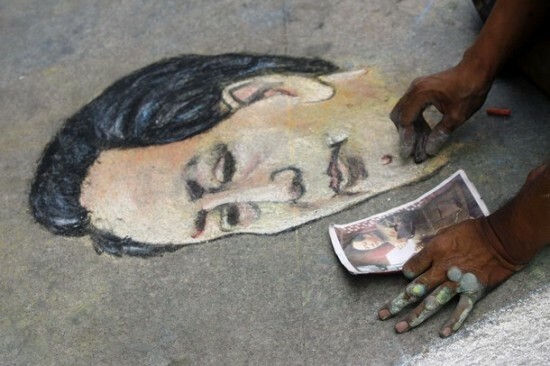 Cong may not be the only talented chalk artist in the world, but the hardships he has had to cope with throughout his life, make him stand out as a truly impressive person. He was born in the Linyi countryside, Shandong, and was diagnosed with bone cancer, when he was just 16 years old, and had his left leg amputated. It was a terrible blow for a young man, but he found comfort in painting, and started making replicas of world-renown artworks, every day. 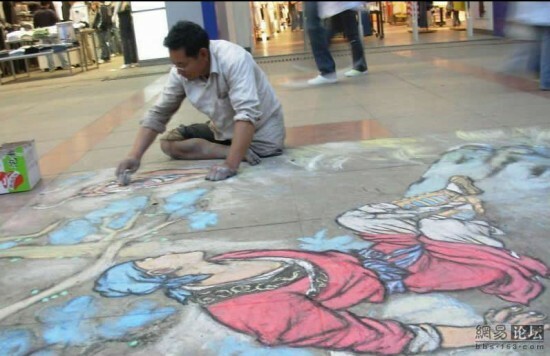 At the age of 21, Cong Langui left his home and began traveling from city to city, living off his amazing chalk paintings. Now at age 48, the artist says he’s been to every one of China’s provinces, except Tibet and Xinjiang. 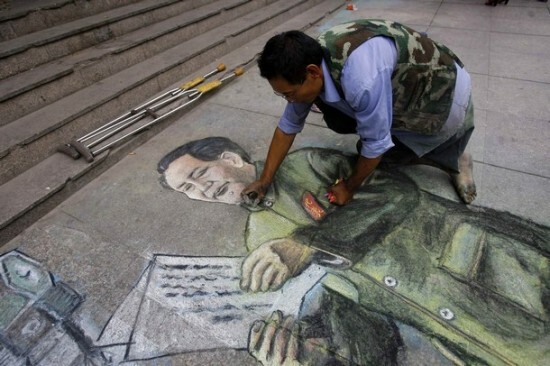 Life was never easy for Cong, especially with only one leg, but by painting chalk masterpieces on city streets, he’s always made enough money to get by and keep traveling. 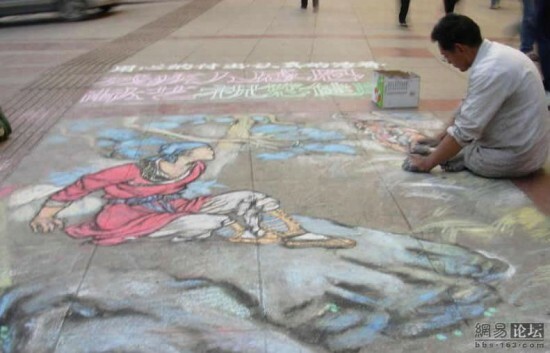 Always hungry for cultural knowledge, the one legged artist would visit the art museum of every city he traveled to, in order to improve his cultural accomplishment and level of chalk drawing. 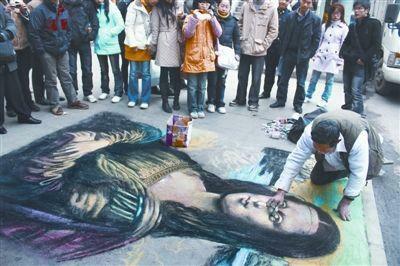 Every one of his chalk artworks takes hours to complete, but Cong feels that his pastel technique is of relatively low difficulty, and his biggest dream is to study painting in oil, watercolor and ink. 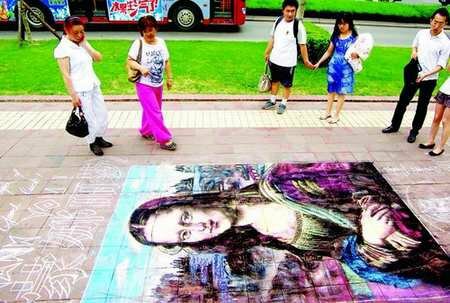 Well versed in the art of chalk drawing (he has drawn Da Vinci’s “Mona Lisa” more than 300 times), Cong feels the need for a new challenge. 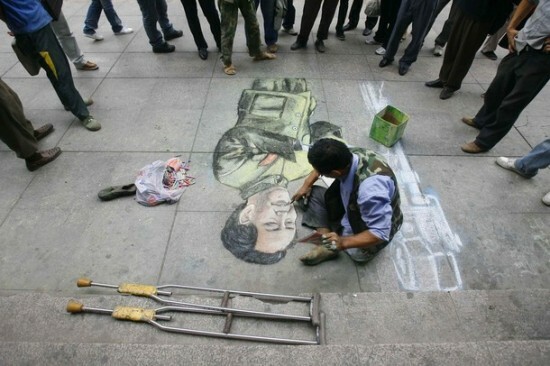 After the earthquake of Sichuan, even though he could barely afford to survive, Cong Langui insisted that all the money people gave him, for his amazing street art, be donated to the Hubei Red Cross.